One of the truest ways that I have used with great success to find authentic foods in Mexico is to go to open-air restaurants. Sure there are fancy restaurants with nice tablecloths, linen napkins, spotless windows with views of everything nice. There might even be some soothing music playing quietly overhead, or maybe even live music. The fancy menu includes beautifully worded descriptions of your choices, and you might have even heard of some of those dishes before. But how authentic is the food? 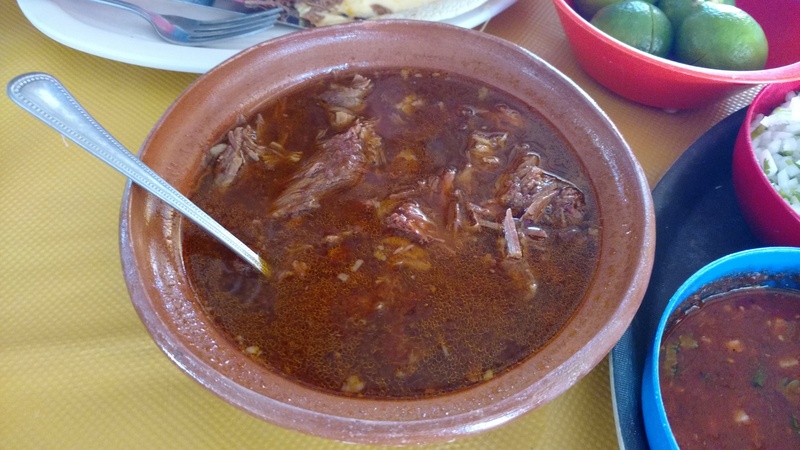 It might taste absolutely delicious (as most meals I’ve had in Cabo are), but is it authentic? That’s why (or one of the reasons why), I am fond of the open-air restaurants. There’s nothing fancy here. Many times the tables are plastic four-person square tables with equally plain plastic chairs. If there is a tablecloth, it is usually a brightly colored square one that might be placed on a 45-degree angle so the corners fall directly in your lap. Another sure sign for me is when I find that there are not very many Americans or Canadians in the place. Open-air and mostly locals — Eureka; I’ve found the place where I want to eat! I was recently on an assignment in Cabo (primarily in San José del Cabo), and I was taken to lunch by two of the locals where I was working. We drove into town, not the touristy part, but where the locals live, work, and eat. As we walked to the restaurant, I began to notice the delicious aromas that were coming from everywhere. This area was definitely a food paradise. The place they selected — El Jalisciense — was packed, but there was a stack of plastic tables in the far corner, and our soon-to-be-waitress quickly got one and set in one of the few vacant spots on the bare concrete floor. Three chairs were quickly delivered to us; a yellow plastic tablecloth was put into place, and we now had a place to sit. “Have you ever had Birria?” Marco asked me. 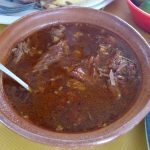 Given that I didn’t know what Birria was, I said, “Probably not.” He and Angie explained the pit cooking process to me, and then it was time to decide: Beef or Goat? Goat is the more traditional meat (it’s easier to cook a goat in the pit than it is a steer), and so I said “Goat.” This spicy stew is from the state of Jalisco (thus the name of the restaurant), and it’s typically served community style with tortillas for scooping up the broth and the meat. As I ate it, I thought of the flank steak that we use at home to make string beef for our tacos — the flavors were almost identical. Naturally, I thoroughly enjoyed it. My mystery novel Missing in MEXICO is set right there in San José del Cabo. Get your copy directly from the author (CLICK HERE) or get it on Amazon. 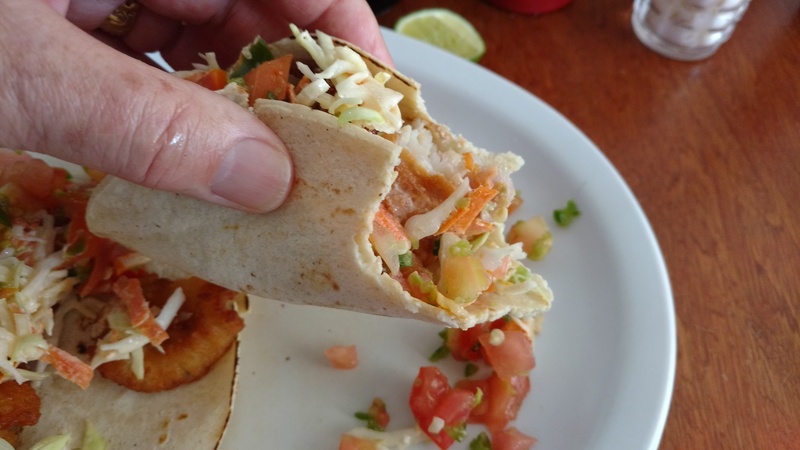 After we had our tacos and Birria at El Jalisciense, we waddled a block away to what I was told is THE BEST PLACE for fish tacos in all of Los Cabos —Tacos Rossy. Given the number of times that I’ve been to Los Cabos, I’d never been here. We arrived shortly before noon, and so they weren’t very busy — yet! I had to order a fish taco, and I was told how good the shrimp tacos also were. I wasn’t even hungry, and here I was ordering two more tacos! The portion of fish looked like a “fish and chips” order; it was large. The battered and fried blue shrimp on the other taco also filled its tortilla, and that was before we headed to the salsa bar to add vegetables, guacamole, salsa, and a squeeze of lime. 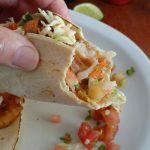 I managed to eat all of the fish taco; the shrimp taco was my lunch the next day! Thank goodness for a mini-fridge in my hotel room. 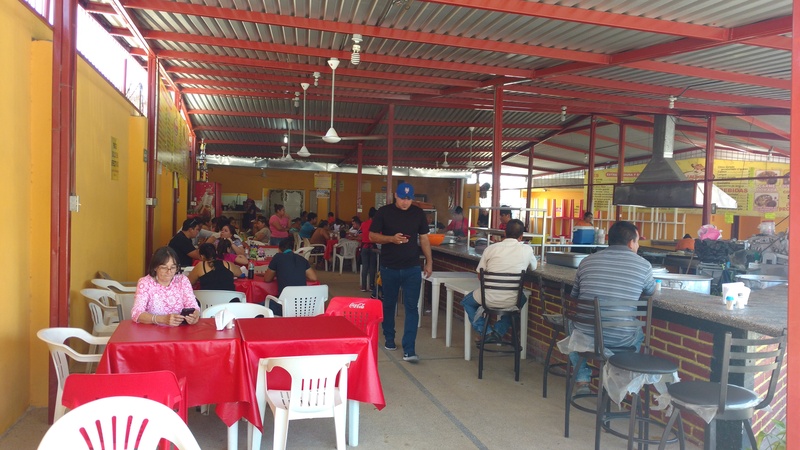 The next time you’re in Mexico, and you want some authentic (and inexpensive) food, do what I do: look for an open-air restaurant that is occupied by mostly locals. You might not recognize some of the items on the menu (and the menu might be painted on the walls), but the food will be good, and that’s the most important thing! All information and images copyright © 2014-2018 by Stuart Gustafson Productions, LLC. America’s International Travel Expert is a U.S. Registered Trademark of Stuart Gustafson Productions, LLC.